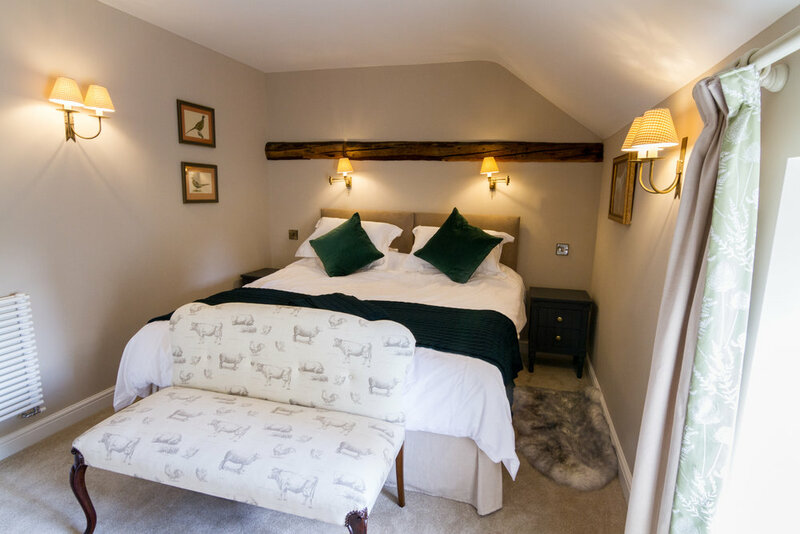 Loft 1 is a cosy double bedroom (about 25 square metres), with Super King sized bed (which can be split into two singles) with an en-suite Bathroom with bath and over-bath shower. It's nestled in beautiful gardens, with a view over the Stable Courtyard and over grassland. The loft has a fantastic and beautiful, well-equipped Kitchenette and a table for eating or working at, a sitting area with a sofa, free unlimited WiFi, a Freeview TV with DVD player and a Bose Bluetooth speaker. Loft 1, The Coach House has a shared sitting out area and full access to Easton Walled Gardens. Due to the listed status of The Coach House Loft, access is via stone steps only. All of our Lofts are dog-friendly.